Are you looking for a way to display your products that’s versatile? If you can’t find what you are looking for then why not contact our friendly team to discuss a custom made solution!! We offer a wide range of slat wall accessories and shelves for slatwall and slat mesh system, giving you wide scope to create the perfect display systems for your merchandise. The acrylic range features clear perspex shelves, bins and trays, perfect for creating a spacious and uncluttered environment. 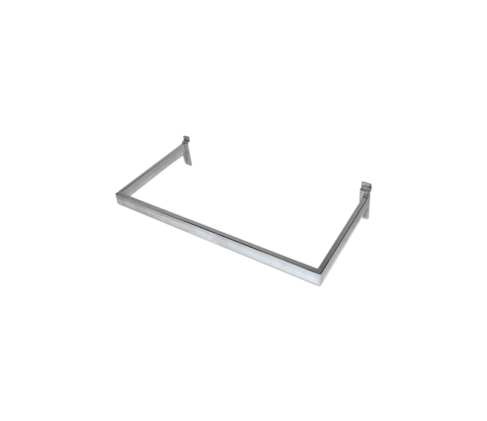 The metal slatwall fittings include shelf brackets, face out arms, sloping hooks and arms, and a range of other brackets. The majority of our range of shop fittings are stocked, ready for despatch direct to your door, so why not contact us today for your requirements. Got a slat wall panel and not sure where to start with your merchandising? Simply give us a call or send an email with your requirements and we’ll do the thinking for you…it’s that easy! 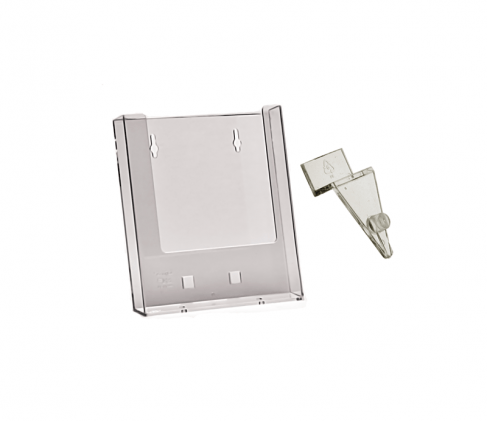 Our wide range of shop fitting supplies include a comprehensive variety of slat wall fittings and peg board accessories, in stock ready for immediate despatch to your required location. Competitive pricing and quality products are just the start. Read below for a brief overview of metal and acrylic fittings which we have to offer. 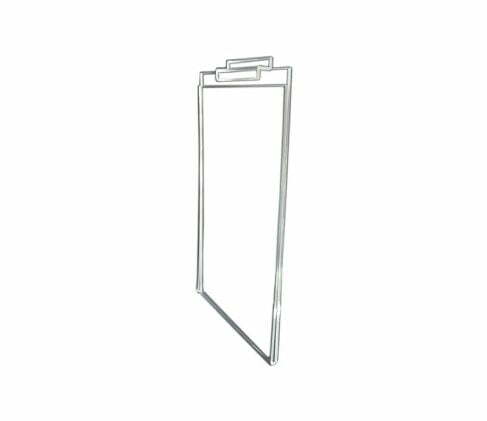 Chrome slat wall hooks, arms and display prongs are one of the most popular slat wall accessories you can add to your display. These useful fittings are great for hang sell, clothing, carded stock and much more. 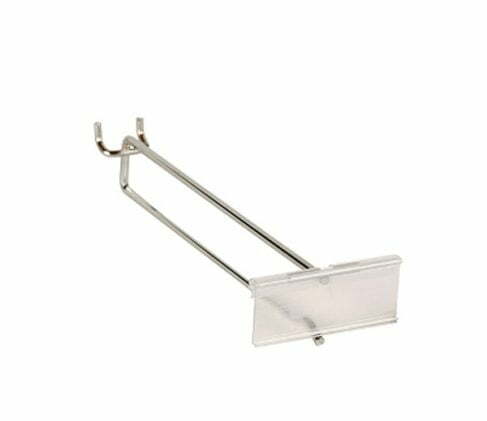 Available in a range of lengths to suit your display area and particular stock, there is also the display prong or pegboard hook styles to choose from. Sloping ball arms and 9 pin arms are popular for clothing and fashion retailers for their neat stock display and stock management. Slat wall accommodates a wide range of shelving options from glass to melamine or particle board and Perspex or acrylic. At Advanced Display Systems, we can assist you to choose the correct style of bracket to suit your shelving system. 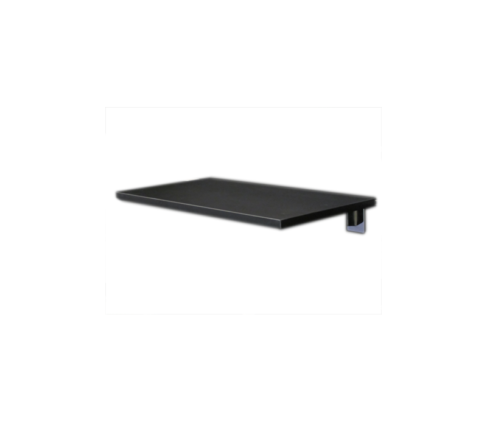 This will ensure correct and safe placement of your retail shelving system ensuring a visually neat merchandise display that will create an inviting experience for all your customers. Did you know we can custom make all styles of shelves to your style and size requirements of your store? Contact us for more information on this service we offer. Display your loose stock items in modular acrylic slat wall bins, perfect for shop counter areas and in fact, any location in your store. Available in a wide range of sizes, these Perspex display bins are a fast and easy merchandise display solution for any lightweight small items. 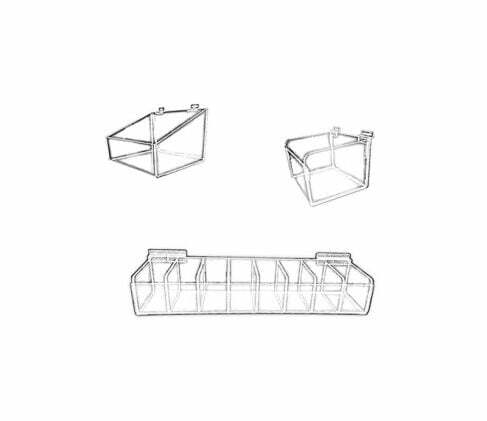 Also available in slat wall accessories range are the compartment bins, consisting of an individual unit with multiple compartments for neat stock organisation, perfect for items such as stationery, haberdashery and hairdressing supplies. 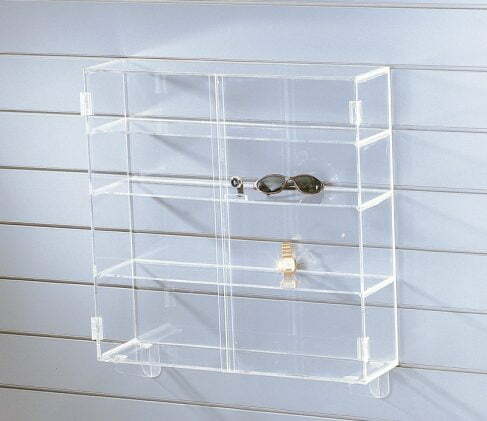 Perspex or acrylic shelves are a popular shop shelving system for product such as catalogues, books, sporting goods and stationary supplies. 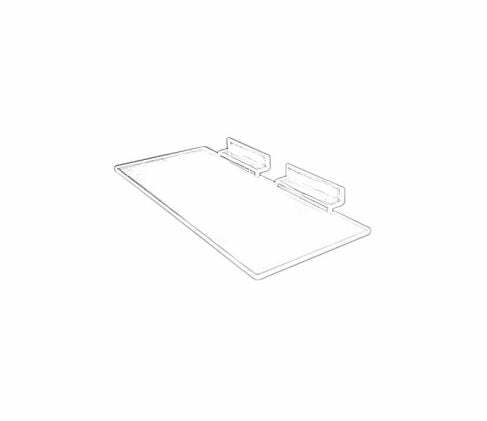 The very sturdy poly carbonate support brackets ensure high strength support under the shelf and can be easily hooked into slat wall, mesh panels and slot wall for a simple yet stylish shopfitting solution. 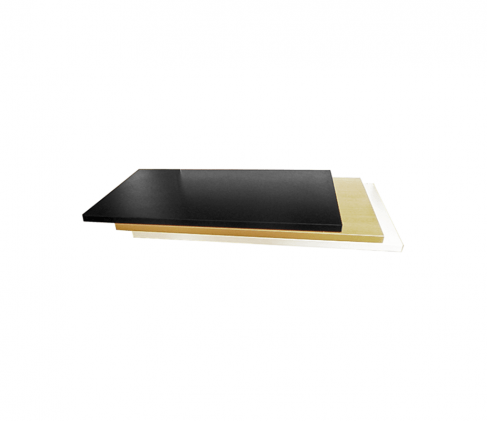 A wide range of sizes are available to suit your requirements, along with the option of flat or sloping angles. Wire baskets are amoung the most popular slat wall accessories, ideal for mesh panels and slatwall panels. 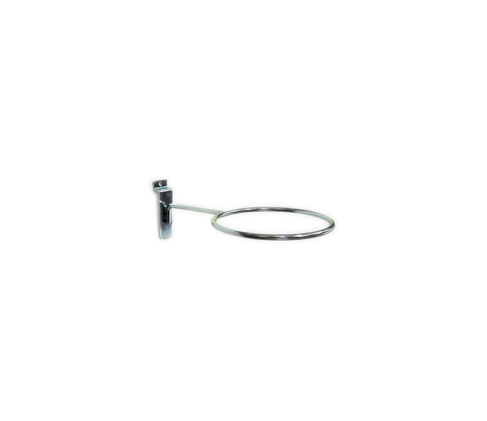 The simple hook in placement method ensures a fast & easy solution for the neat display of merchandise. 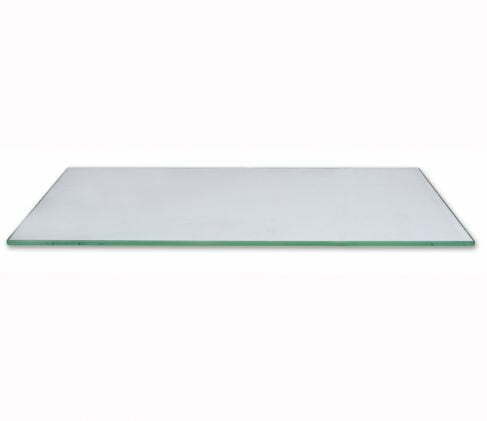 Great for medium sized bulky stock such as sporting goods, children’s toys and pet supplies. 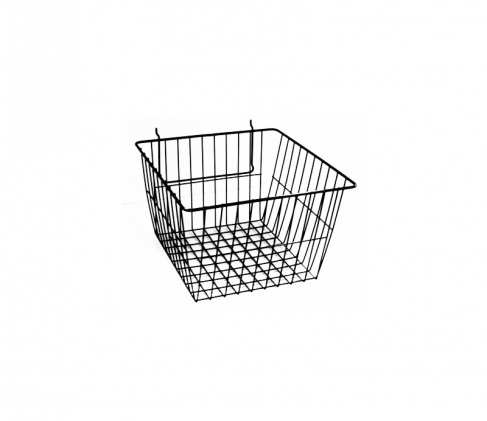 Available in black or chrome, these versatile slat wall mesh baskets will provide great stock storage, maximising retail space. The perfect display module for hanging stock such as clothing, banners, tea towels fabric samples and much more. Incorporate these versatile slat wall arms into your shop fit for a space saving yet affordable retail shop display solution. The hat display bracket and cap display arms are the ultimate slat wall accessories for the neat display of hats and caps. These chrome slat wall fittings can be used on slat wall and mesh panel system. Still not sure what you require? Contact us now for more information on our entire range or request a catalogue.